Even the people we admire the most have gone through their own struggles. Many of them have been told they are dumb, stupid and have no hope for the future. But, they haven't let their challenges take them down and prevent them from becoming the best they can be. 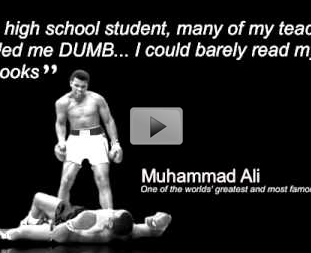 This video showcases several celebrities who have faced learning disabilities. This video shows that if you set your mind to anything, you can do it.